Photo courtesy Ninkasi Brewing Co. 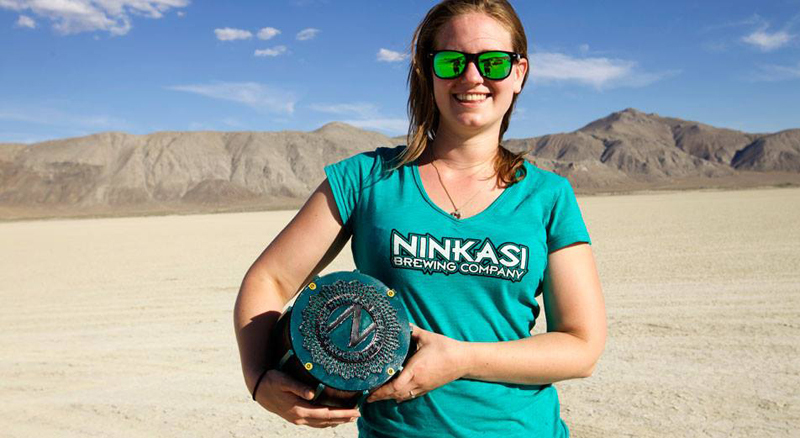 In July, a rocket carrying, among other things, yeast from the Ninkasi Brewing Co. and the ashes of the late Don Younger, publican of Horse Brass Pub in Portland, OR, blasted off from the Nevada desert. The goal was to see what zero gravity and the upper reaches of the atmosphere would do to the 16 yeast strains and how they would affect the beer the brewery planned to make upon their return. However, while Mission 1—as it was known—rocketed off without a hitch, the team from amateur rocketeer group CSXT (Civilian Space eXploration Team) had difficulty locating the rocket once it returned to terra firma. “Unfortunately, the yeast will not be returned to us viable after spending weeks in the hot desert, but we are still looking forward to seeing how the yeast capsule performed and analyzing the yeast cells to see if radiation mutated the cells at all,” said brewery spokeswoman Ali AAsum. Not to be deterred, the brewery and CSXT are already planning Mission 2.